Rupert graduated with an LLB (Hons) from the University of Wales and qualified as a lawyer in 1999, practising in corporate and financial law for several years following qualification. In addition, Rupert holds the Investment Administration Qualification (IAQ) from the Chartered Institute for Securities & Investment. 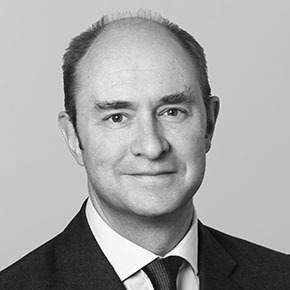 Rupert joined Intermede Investment Partners in November 2015 as Chief Operating Officer and is responsible for all non-investment aspects of the business. Before joining Intermede, Rupert was COO at Bramshott Capital, a European equity manager, from January 2011 to October 2015. Rupert was at Stanhope Capital for nearly a year and a half (until December 2010) and before that at Dalton Strategic Partnership for over three and half years until September 2009. He joined Dalton from Park Place Financial Strategy, a financial services firm he founded with a partner from his days working as a lawyer, where he was from February 2004 to December 2005.